Scott Forstall joined NeXT's operating system team after graduating from Stanford in 1992. 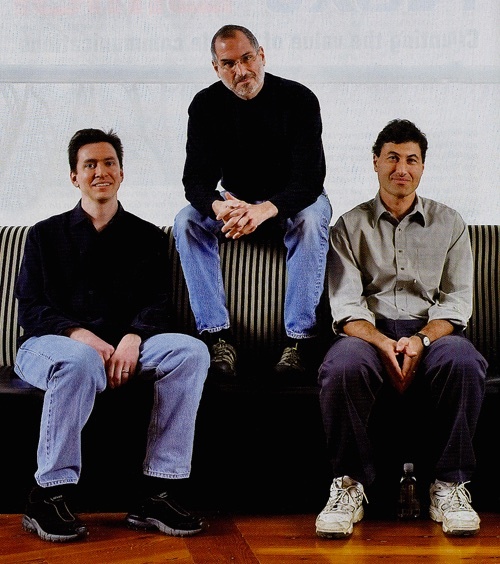 When Steve Jobs came back at Apple, Forstall moved to the Mac OS X user interfaces group. His rise to fame came in 2006, after Avie Tevanian's departure, when he successfully ran the team in charge of OS X Leopard. More importantly, he was the one who pushed for the genius idea of using OS X as the iPhone's operating system. Though controversial, his influence on Apple went increasing in recent years. He is Senior VP of iOS.